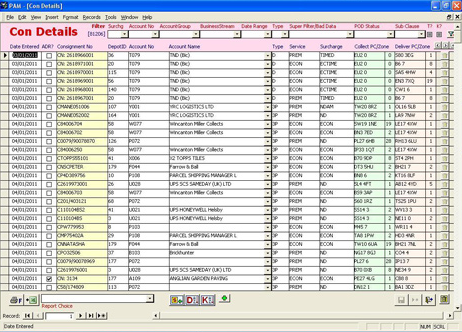 Sometimes it is necessary to go beyond just being able to organise data in columns and make a few calculations. Do you have a time consuming, repetitive task done in Excel? Did you know that it could be speeded up by automation? Clients are staggered by what can be done when Excel’s programmable side is unlocked! It is amazing how much time, money and effort can be saved by using Excel to automate aspects of your work. You may have tried to tackle a project yourself but have reached a point where you cannot progress it further due to time, training or resources constraints. Let us see the problem – we offer a free initial consultation. The great thing about our spreadsheet solutions is that because the end product is sitting in Excel, your users feel that they are in familiar territory! 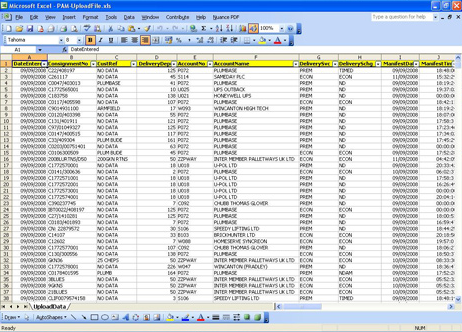 Palletways needed a spreadsheet tool in order to process their consignment data ready for further analysis. 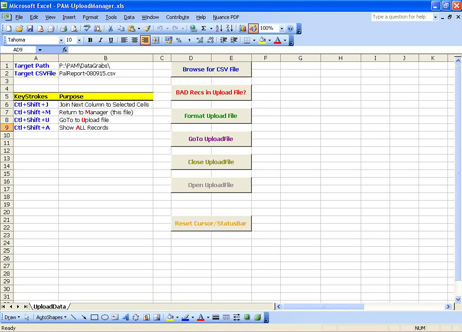 The PAM (Performance Account Management) Upload Manager tool is an Excel application that formats data downloaded from the company server on a daily basis. (Typically, 1,500-2,000 consignment records per day.) The spreadsheet tool cleanses the information in a logical manner and flags up input errors quickly and accurately in a professional format. 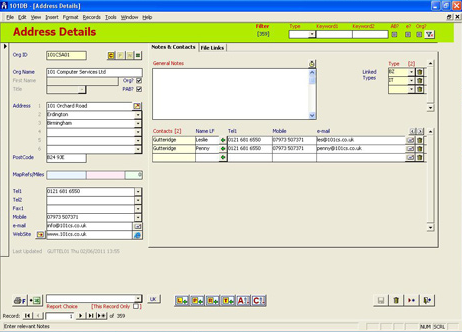 A simple user-friendly dashboard is used to operate all the stages in the process.